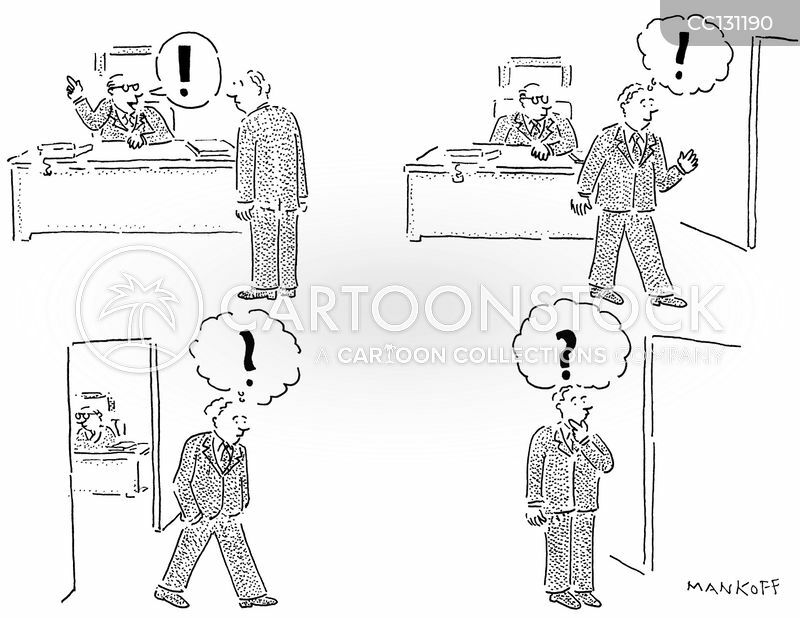 A man's boss gives him a command and then the man forgets what it was immediately. 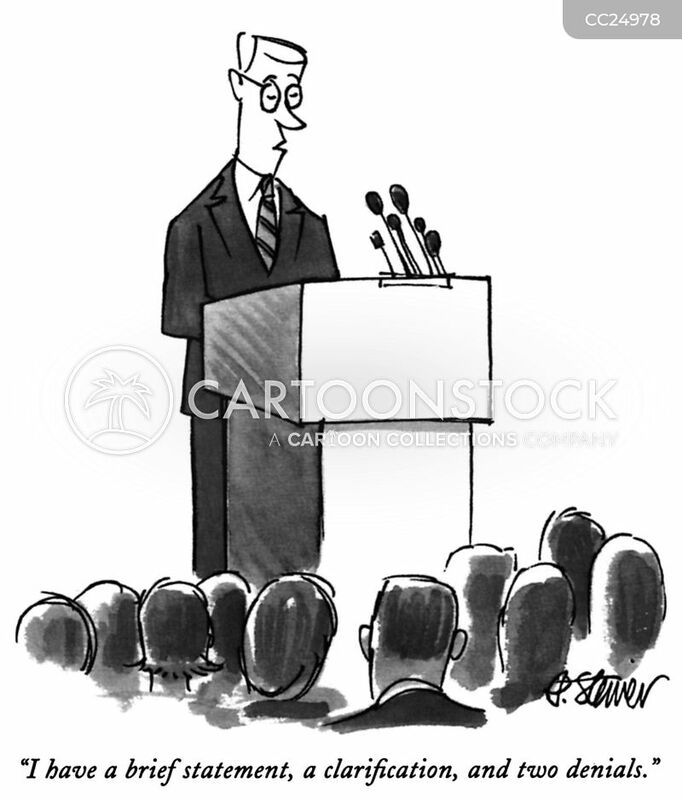 "I have a brief statement, a clarification, and two denials." 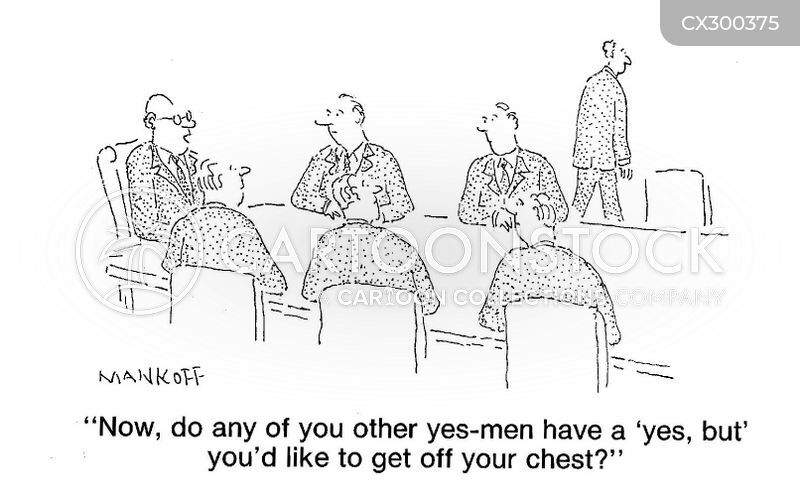 "Now, do any of you other yes-men have a 'yes, but' you'd like to get off your chest?" 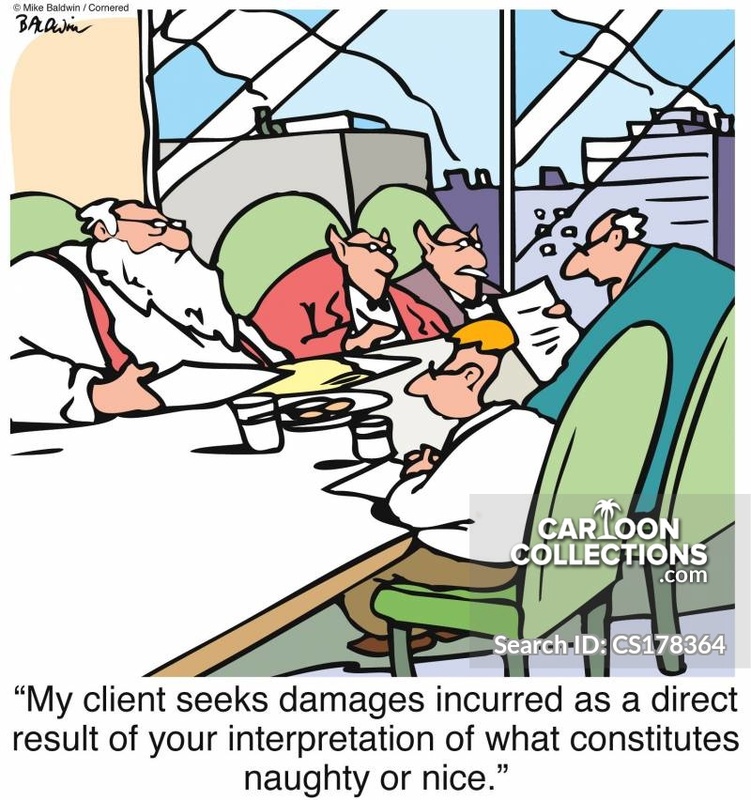 "My client seeks damages incurred as a direct result of your interpretation of what constitutes naughty or nice."